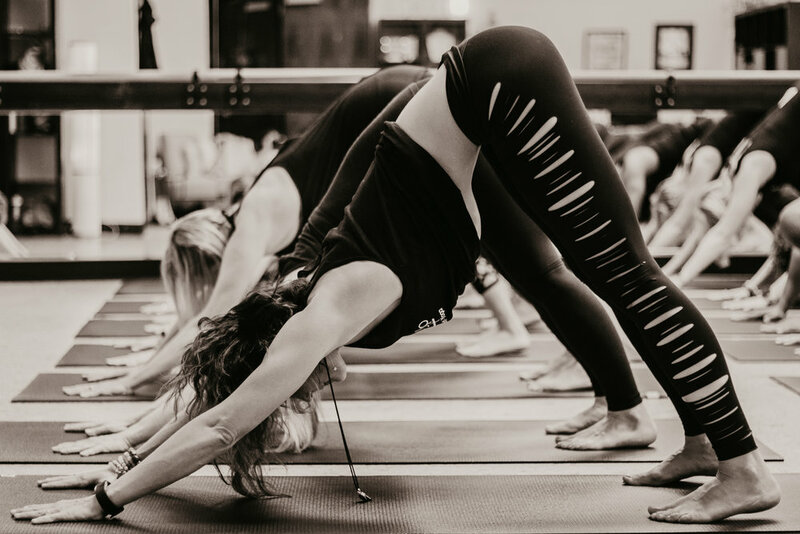 Better Barre - Our "Pilates Meets the Barre" signature barre method is taught in neutral pelvis and combines the intensity of traditional Lotte Berk barrework with the structure and focus of Pilates and mind-body centering of yoga. Our classes offer the discipline of Pilates under weight-bearing (standing) conditions to get your heart rate going while building lean muscles. Our method supports your active life outside the studio with a strong core, better posture, and a calm mind. Barre-Up Interval Blast combines the sculpting and body shaping of our traditional barre class and amps it up with Cardio Intervals to burn fat and re-shape your body in a remarkably short time. Wake and Shake - Barre-Up Pilates meets the Barre - This Early Morning class is designed to get your heart pumping and your legs shaking for a great start to your day. You must register by 9:00 pm the previous evening. The class will be cancelled if there are no registrations by 9:00 the night before the class. So, bring a friend, and schedule in advance. PILATES MAT- a 45min class designed to balance all muscle groups’ strength and flexibility, with an emphasis on challenging the core muscles with each movement. Classes will blend the Classical Pilates Method with exercise variations, sometimes using props. Modifications are suggested for beginners or for those with physical limitations. Pilates mat is a challenging yet safe method to sculpt your body, while increasing agility in your every day movements. PILATES SCULPT - similar to Pilates Mat but adding a twist. We start out with a short warm-up and then transition into sculpted/toned movement by using light weights to help employ controlled breathing during body weight resisted movement to build core strength and challenge the core muscles. Light stretching at the end will round out this class. POP PILATES® is the combination of total body Pilates exercises with the attitude of choreographed dance and the energy of music, results in an intense workout that is FUN and effective. Students will be challenged to flow from one exercise to the next, developing a rock solid core, while leaving NO muscle untouched. Every exercise can be modified to fit YOUR personal needs. You’ll leave feeling sweaty, strong and ready to take on MORE. If you’ve felt like classical Pilates has gotten stale over the past several years, then this is the innovation and the brand new energy that you're looking for! Buti Yoga® is a power yoga based off of Kundalini principles . While using the Spiral Structure Technique®, Buti is an empowering blend of Plyometrics, Corework, Primal Movement and Yoga. If you find yourself letting your mind wander during yoga class, you HAVE to experience BUTI! This musically driven workout energizes the feminine spirit, obliterates negative thoughts and patterns, and strengthens every fiber of your being! Hotcore® utilizes the Spiral Structure Technique® to engage the deep muscles of the core. Broken into pre-sequenced sets to maximize muscle toning, look and functionality. Students practice in socks to facilitate fluid “drag” or friction creating resistance. In between sets, students move to restorative yoga asanas to stretch and lengthen. Hotcore® is the perfect add-on class for students looking to enhance core strength or push the limits of their yoga practice. Buti Sculpt® builds long, lean muscle with HIIT (high intensity interval training). HIIT kicks the body into a heightened metabolic state + optimizes the body's ability to burn fat through maximum heart rate + maximum effort. Sculpt® optimizes the body's metabolism, balances hormones + enhances cellular repair for up to 36 hours beyond the time of workout. Challenge your deepest core muscles with this 45 minute blast. We'll spend 20 minutes focusing on core muscles + 20 minutes on interval cardio + yoga holds. We'll finish with a well-earned and relaxing savasana. All Levels Yoga Flow - This alignment based restorative practice blends the flow and extension of traditional vinyasa. Each instructor will bring their own expertise and flare to this class leaving you feeling grounded and centered. Come explore your "edges" in a safe and supported environment. Yoga Sculpt - All the benefits of our traditional Yoga Flow, but taken to the next level! Yoga Sculpt is the perfect combination of mental awareness with the satisfaction of an intense, total body workout. In this class, your typical yoga flow will be balanced with free weights to increase strength and tone muscles. Upbeat music & high energy makes this class a great change of a pace and a whole lot of fun! Yin Yoga is a passive, still practice that works into the deeper layers of connective tissue, joints, and ligaments to release chronic held tension and to restore vitality and health to these important tissues. Unlike the muscles, which are more yang parts of our bodies, the connective tissues need to be addressed with a quiet attitude of acceptance. Postures are practiced seated or reclining and are held for several minutes at a time. This practice also targets the meridian lines of Traditional Chinese Medicine/acupuncture to enhance the body's immunity, create emotional equilibrium and promote the balanced flow of chi or prana. Yin Yoga balances the yin and yang aspect of ourselves through a strong, sweet practice that will challenge you physically and mentally. Yin yoga is appropriate for students of all levels. Get ready to "break it down" with Byron! This class is NOT to be confused with ZUMBA, Breakdown is a calorie-burning dance fusion class that incorporates the latest music with pop, latin and hip-hop movements. This total body workout is done in street shoes and will leave you feeling completely energized. This **SPECIALTY** class is for any fitness level and a great chance to change up your regular workout routine!